THE FIRST CHOICE AMONG COMMERCIAL ROOFING CONTRACTORS HOUSTON! The health of your Houston building’s roof plays an integral part in daily business. A well-constructed roof keeps your employees and other vital aspects of your business protected from the outside elements. A cracked or leaking roof can lead to dangerous working conditions or damaged stock. At Live Oak Construction we pride ourselves on creating quality Houston commercial roofing systems, designing and building them to fit each client’s building. 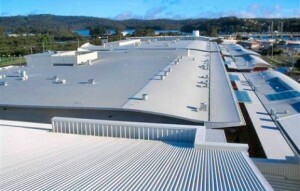 A well-built roof can keep your business up and running, protected from the elements. Our Houston commercial roofing experts have the experience necessary to make sure that your commercial building will be built with high quality materials, using the latest in Houston commercial roofing technology. We work closely with building owners, property managers, corporate owners, insurance adjusters and municipal managers to ensure that your building gets the best from the top commercial roofing contractors Houston. At Live Oak Construction we recognize that a roofing project must offer minimal disruption to daily activities. Our crews can usually finish a roof in a single day, and if they cannot, the proper tarps and other precautions are put in place to keep your building closed to the elements. We work to minimize noise, dust and debris and protect your property and people at all times. Contact Live Oak Construction today for a free in-house consultation of your Houston Commercial roofing project.